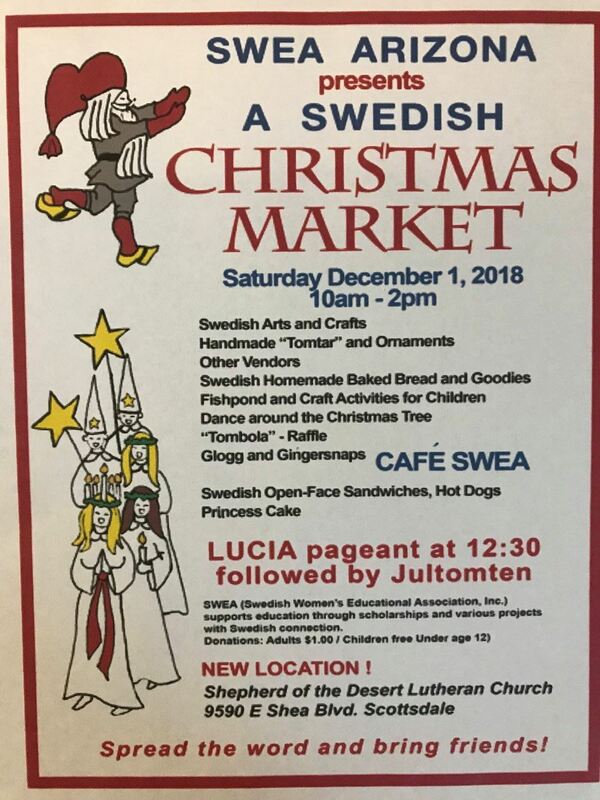 Join us for Swedish arts and crafts, "tomtar", Swedish baked goods as well as dance around the Christmas tree, tombola raffle and coffee, pastries. As well as Glogg! For the kids there will be fish pond and crafts table - create your own ornaments. Around noon Santa Claus will arrive and we will have a Lucia Pageant (not to be missed). $1 admittance. Pay as you arrive. Bring cash for baked goods and other goodies!